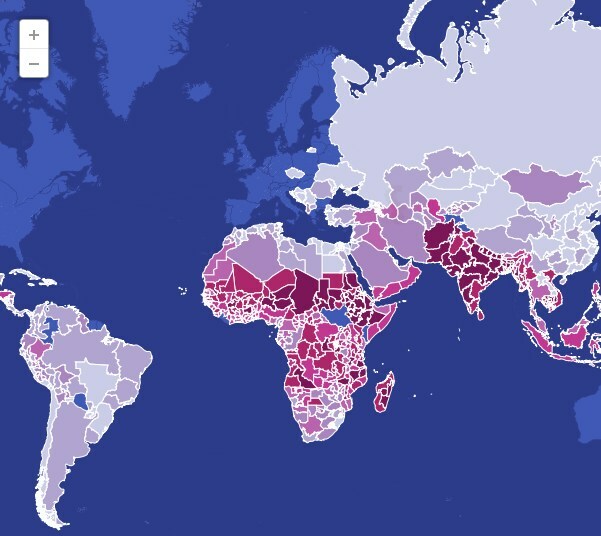 Scroll and click around the map to see where in the world children are underweight, which is defined as two standard deviations below the median of the NCHS/CDC/WHO International Reference Population. It’s a pretty good indicator of kids who are chronically hungry. The data covers 1990-2002 and isn’t available for all regions (those that are unavailable appear blue on the map). The raw data was compiled by the Center for International Earth Science Information Network.